DAB may be slowly making itself heard over UK, but the real magic of radio lies in Internet Radio. Not only does the magic of internet radio allow you to access channels from all over the world, it also allows you to access podcasts. Missed your favourite show? This is the radio you need! While many companies dabble in Internet Radio, here we look at the Philips AE8000, offering you all the channels of Internet Radio, along with DAB, FM and the basics such as Alarm. The device features a reasonably modern look, which is designed to look like a stereo speaker, but one of the ‘speakers’ actually holds the display and the controls. A couple of old fashioned metallic knobs allow you to choose your channels as well as adjust volume. The top knob also functions as a select button. The front also allows you to plug in a set of headphones or a set of speakers of your choice. Not much else can be found on the sides. The back of the unit features a regular radio antenna as well as a WiFi antenna. It also features the DC power input as well as gives you the option to plug in an external audio source. The FM and DAB setups are straight forward. Go to those modes, it will automatically scan the channels in the area, and you’re good to go. For Internet Radio, you obviously need a WiFi connection (there is no ethernet option), and you will need to set it up. When you set it up, it will allow you to choose a WiFi connection, and if you have options such as WPS on your router, you can use that. The alternative is using a manual password entry, which can be done by using the Select knob. It was easier than typing a password on my television, so not too much hassle. Once your WiFi is setup, you’re good to go. As expected, the FM and DAB options are fairly obvious, and it catches the same channels that are already available in my area. You can set pre-sets, and go listen to them as you please. What sets this apart is the Internet Radio. There is a wealth of internet radio stations out there, and a lot of options are available from around the world. The UK has quite a good collection too, but so does rest of the world, not to mention Europe, Asia, and of course America and Australia too. Probably my favourite feature is being able to listen to podcasts from your favourite radio stations. Missed In Our Time or Women’s Hour on BBC Radio 4? You’re in luck, just go find it and press play. The performance is amazing, and while I do run a good internet connection at home, the sound quality and loading speeds were brilliant, and you couldn’t tell any different. The choice is amazing of course, and in a funny kind of way, using this really highlighted how good the BBC collection really is. You have most of the iPlayer Radio section here, but without having to go to the website or need an account, or any of that. As far as legality and licensing goes, I am sure it is the same as using iPlayer at the moment. Using the remote is as straight forward as using the display control. The choice is yours, and one really isn’t superior to the other. Overall it is rather simple to use, with both interfaces. With a 5W Mono speaker, you can’t really expect to be blown away by the sound quality. However, it serves well as a radio. If you are fussy, you have the option of plugging in an external set of speakers. Sound is clear, and reasonable. 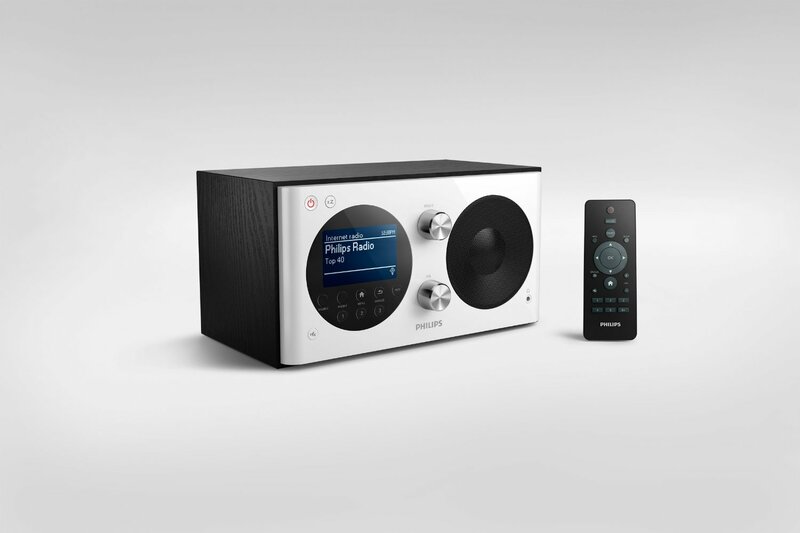 More information on the AE8000 Internet Radio can be found on the Philips website. It is available from £134.99 from various online retailers such as Amazon. While internet radio is an option that is available to all of us via our devices such as computers, phones and of course tablets, like all other devices, it is always better to have a dedicated device for anything. The Philips AE8000 gives you a great interface to access the 1000s of internet radio channels as well as podcasts available with them.